I do want to show it off. I’m holding a meet and greet open house this Sunday August 2, 2015 from 12 noon to two pm. 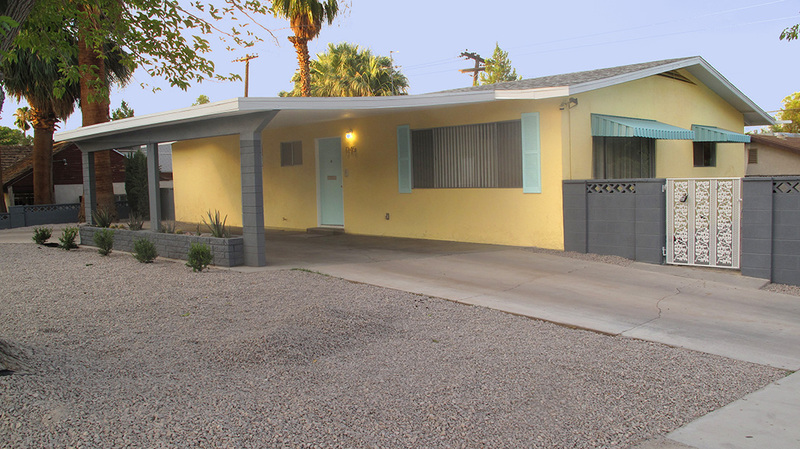 1245 S. 15th Street at the corner of Franklin Ave.
Stop by and see a great example of how mid century modern and vintage homes can be given new life (without turning them into beige on beige summerlin want to be’s. There’s more photos in the featured property section in the right side bar. Las Vegas real estate buyers are always asking me to find them a retro or vintage home that is as original as possible. It’s not an easy task. With the homes in vintage and historic neighborhoods being 50 and 60 and 70 years old, there’s been lots of opportunities for the original features and fixtures to have been changed, removed, or just simply used up. I always recommend trying to save original features when ever possible, and most of my clients cherish their pink or blue or pastel bathrooms, colorful ceramic tile countertops, built-ins, lighting fixtures and other original features when they are still there. A few months ago, I was approached to be be the listing agent for a home that still had most of its original kitchens, bathrooms, and lots of little details such as the intercom, built in closets and dressers, and beautiful natural wood cabinetry. It hadn’t been painted in years, and still had 40 year old carpet. The electric and plumbing was a mess. It even still had its screw in fuse panel. The owner moved into the home in 1967 when he was in High School, and now he’s inherited it. What to do? 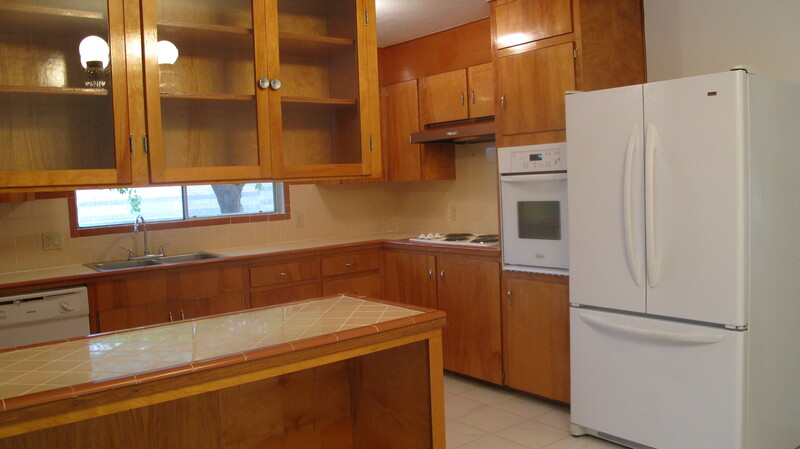 Sell to a flipper so they could rip out the original vintage fixtures? It was the family home. It deserved better. The owner decided to do a restoration, and asked me to supervise upgrading of the infrastructure as well as the preservation of everything that could be saved. The end result is that we saved every vintage and original feature. 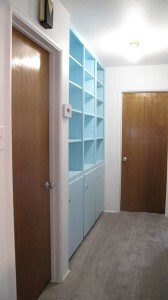 The tile work was regrouted, the cabinets re-varnished, and best of all – there’s no beige anywhere! It’s located at 1245 15th Street, at the corner of Franklin Avenue in the Ridgeview neighborhood of Downtown Las Vegas. Even though the home is already under contract, we’re holding a meet and greet open house so that people can see it. Sunday August 2 from noon to two pm, and we invite you to stop by and see for yourself. We’re pricing this 3 bedroom, 2 bath, 1472 sf home at $165,000. At my suggestion, the seller refused to look at any offers from investors. I’m happy to report that the home sold in 2 days, and will be owner occupied. If you have a vintage, mid century, historic home that you want to sell – I hope you’ll call me. I get the job done!